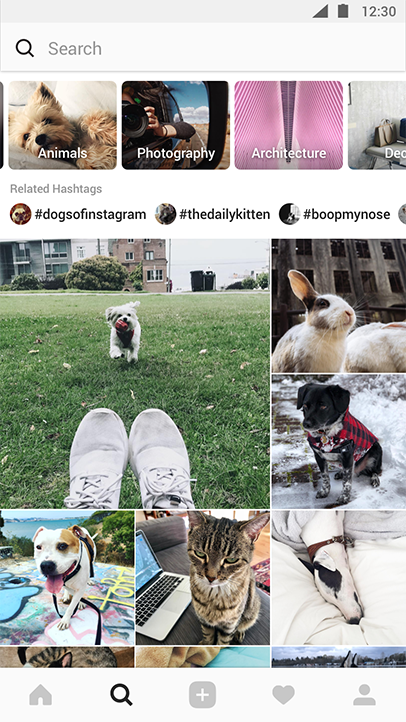 The Instagram Explore tab is getting a design overhaul, adding categories so users can choose between different topics such as “animals”, “beauty”, and “home”. Essentially Instagram is replicating Pinterest’s Explore Topics function. This one is pretty exciting! 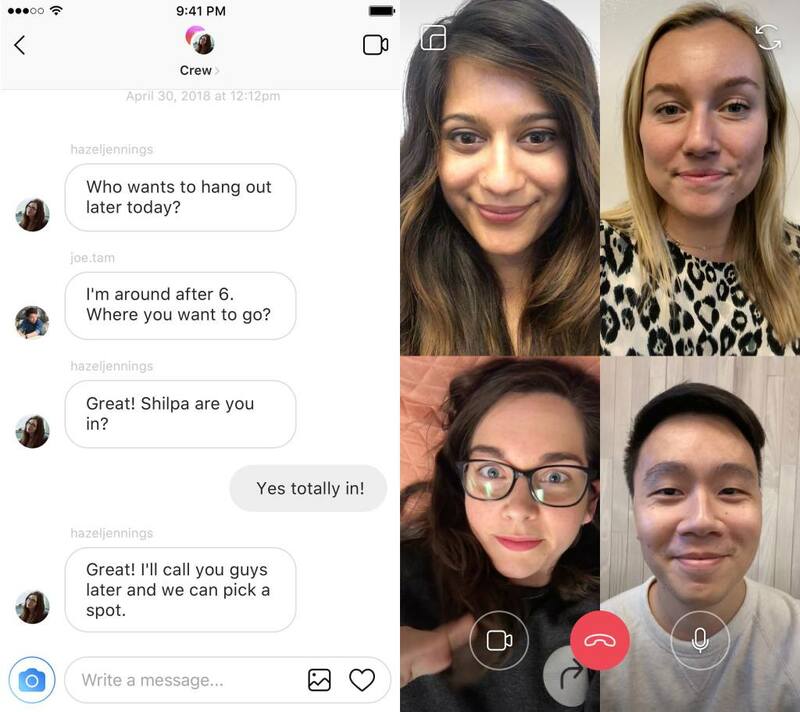 The group video chat feature will allow Instagram users to talk with one or more people through the app. To start an Instagram group chat video tap the new camera icon at the top of a Direct thread. Add people (up to 4 it looks like) and start chatting! You can also minimize the video and continue chatting while browsing Instagram. “You’re going to be able to just tap on a new camera icon in the top of any direct thread that you have and you’re going to be able to video chat one-on-one or with groups,” Zuckerberg explained at the F8 2018 conference. This one has been a long time coming. 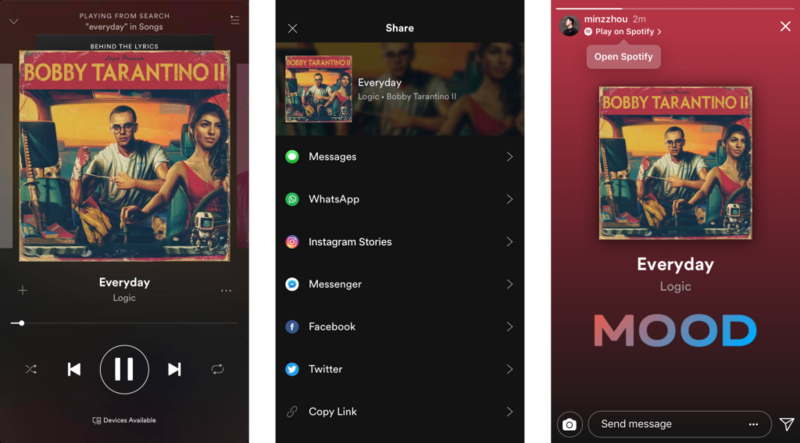 With this feature you can finally share your favorite Spotify tunes through a sticker on Instagram Stories. When your followers click on the sticker it will take them to Spotify where they can listen to the song. You will also be able to share your GoPro shots via Instagram Stories. Just tap the share button in the GoPro app and your content will be pulled directly into the Instagram camera. 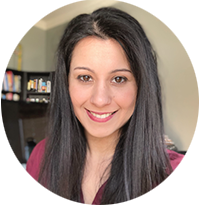 From there you can edit and add to your story or send it via Direct. Social networks have faced backlash for their inability to stop harassment and bullying on their platforms. Instagram has made a renewed commitment to stop bullying on their platform. The new system relies on machine learning to censor language that is detected as harassment or bullying. 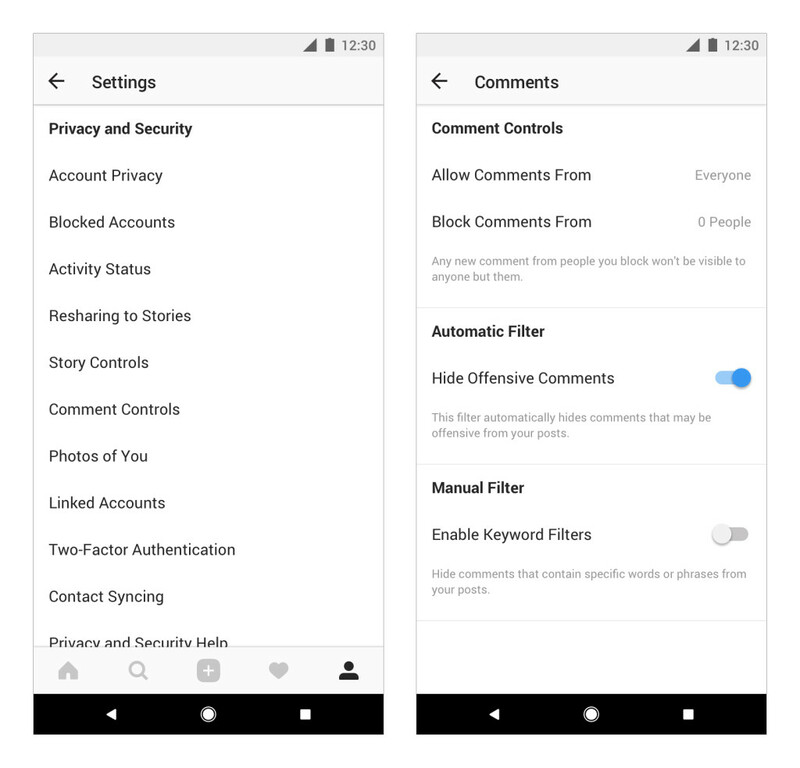 Instagram says the new filter is enabled for all users, but the setting can be turned off inside the app’s “Comment Controls” section. 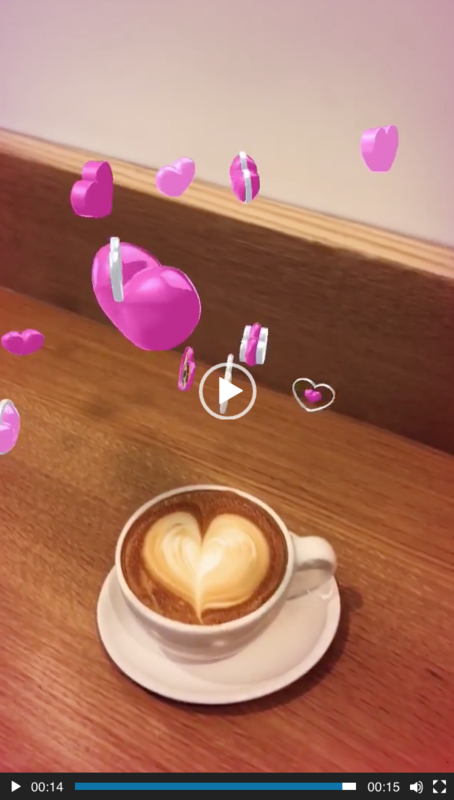 In addition to the fun AR filters we currently have on our Instagram Stories we’ll soon have access to face filters and effects built by other users. Brands will also be creating custom filters. 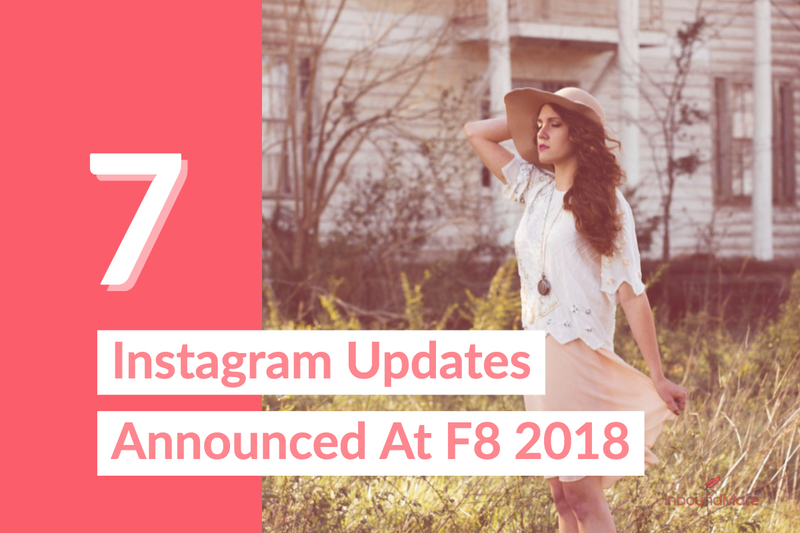 Zuckerberg announced that Instagram is debuting filter partnerships with Ariana Grande, BuzzFeed, Kylie Jenner, and the NBA, among others.